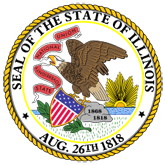 Report of the activities and achievements of the Illinois State Board of Education and the elementary and secondary schools of the state. 1. Illinois State Board of Education Annual Report: Condition of Education (20080912204120_AnnReport2005.pdf).